Joseph P. A. 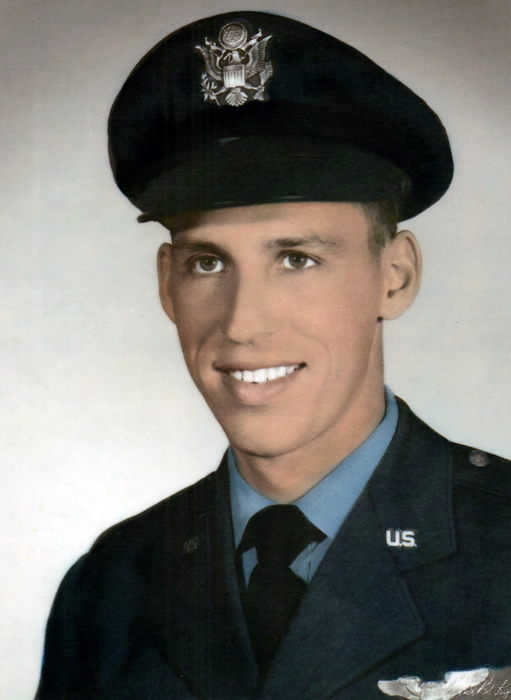 “Joe” Côté, 85, of Macon, died Saturday, March 30, 2019. Memorial services will be held at 10:30AM, Thursday, April 4, 2019, in the chapel of Hart’s at the Cupola with Father William McIntyre officiating. A reception will be held following the chapel service prior to the service at the Georgia Veterans Memorial Cemetery at 2:30PM. The family may be contacted at the residence. In lieu of flowers, donations may be made to St. Peter Claver Catholic School, 133 Ward Street, Macon, GA 31204. Mr. Côté was a retired Major in the U.S. Air Force. Following his military career, he served as a radio dispatcher for the Macon Police Department, sanitation inspector for Macon Public Works, real estate agent for Fickling and Walker, and insurance agent for New York Life. He is predeceased by his parents, Joseph S. and Blanche Lavoie Côté; two brothers, Frank Côté and George Côté; and a sister, Delores Lecourt Sasser. Mr. Côté survived by his wife of 61 years, Mary Jo Côté; children, Johnny Côté (Carole) of Macon, Bill Côté (Christine) of Waterford, Connecticut, Glenn Côté (Tammy) of Washington, Liz Bishop (Rusty) of Macon, and Jack Côté (Dee Dee) of Warner Robins; twelve grandchildren, Christina Findley (Robby), Thomas Côté, Matthew Côté (Christine), SarahBeth Côté, Christopher Côté, Ashley Côté, Quentin Bishop (Sarah), Samantha Bishop, Ashton Etheridge, Branden Côté (Femke), Sydney Côté, and Maci Côté; five great grandchildren, Cache Findley, Selah Grace Findley, Frances Bishop, Lucca Bishop, and Anastasia Côté; and three brothers, Augustine Côté, Albert Côté (Barbara), and Jean Côté (Charlene).